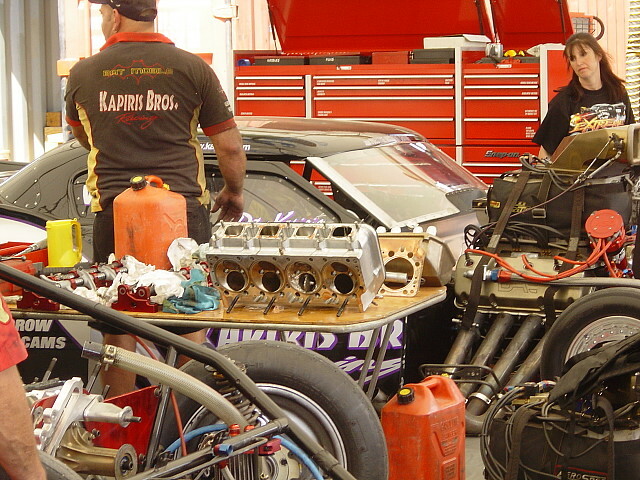 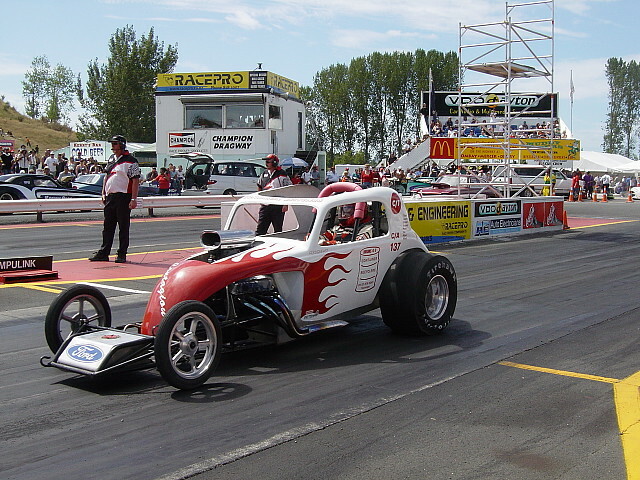 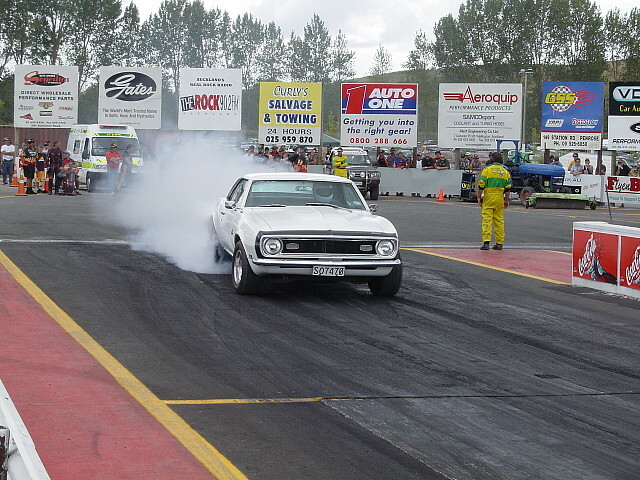 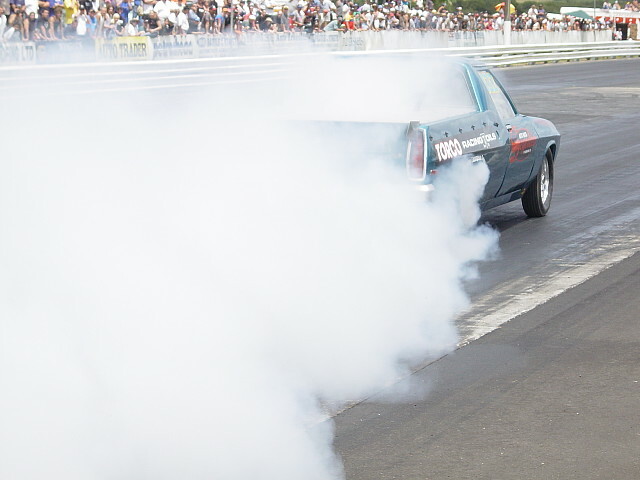 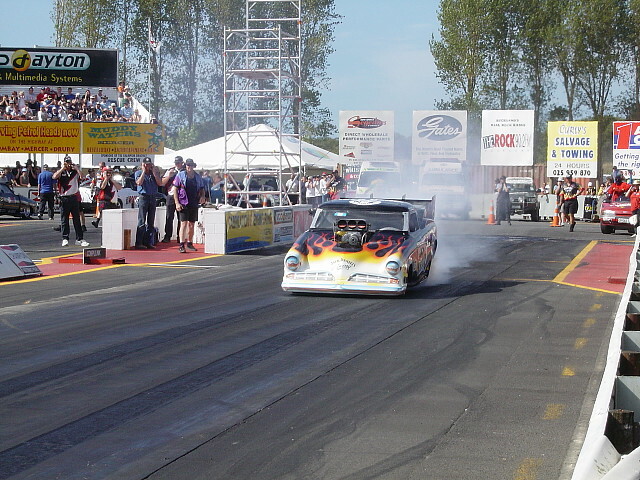 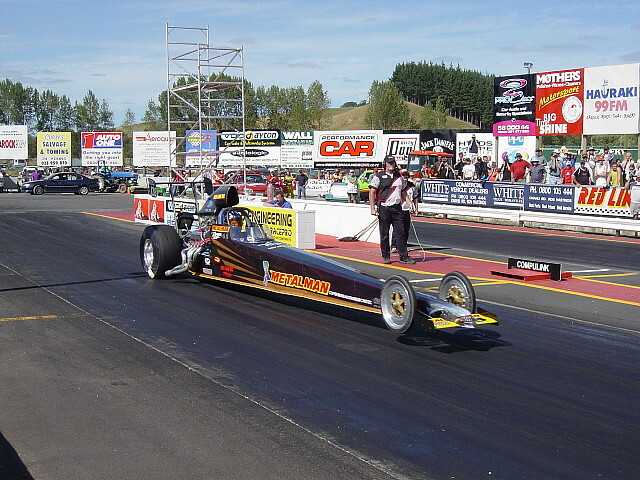 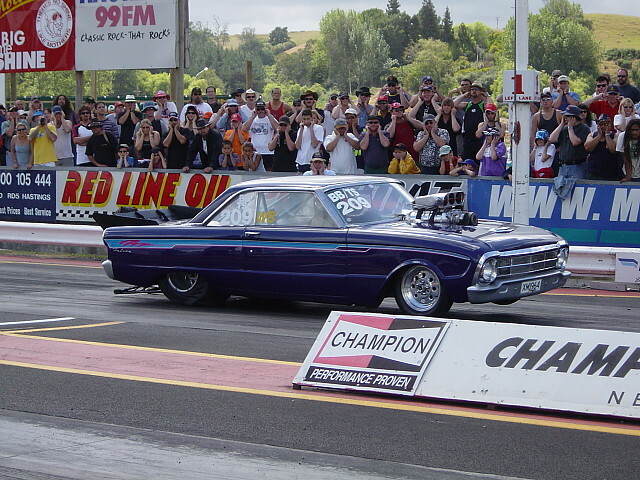 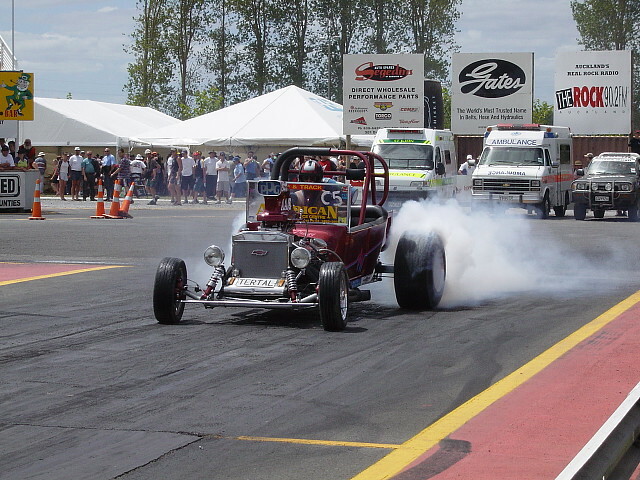 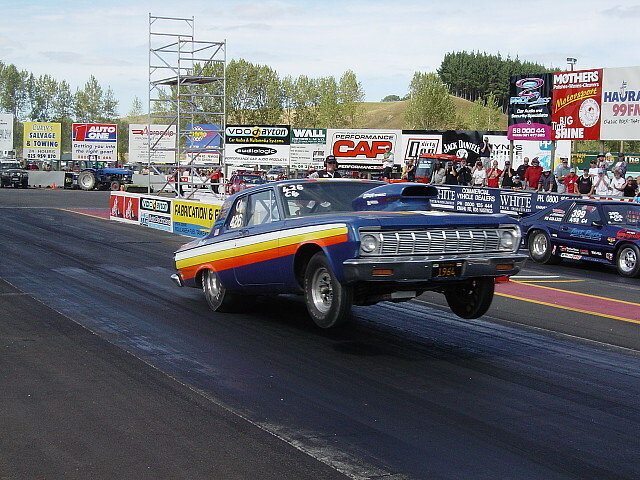 Peter Kapiris blasted down Champion Dragway in 6.39 seconds at 207.15 mph to become the fastest pass by a doorslammer in New Zealand to date. 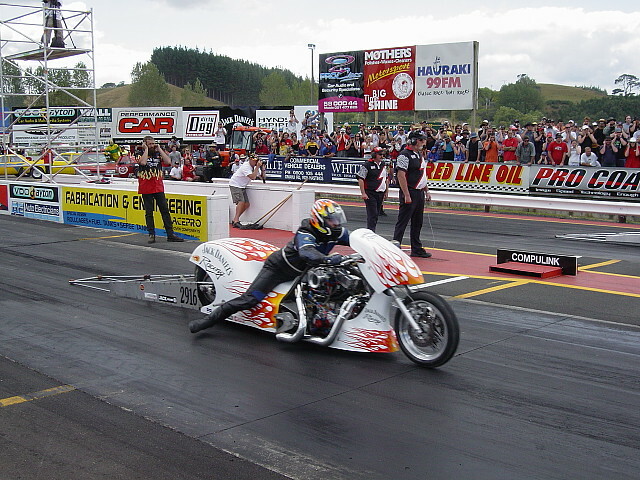 In doing so, Peter beat Mark Holland's 7.1 at 186.64 mph in a one-sided final to take the Aussies 1-0 over the Kiwis. 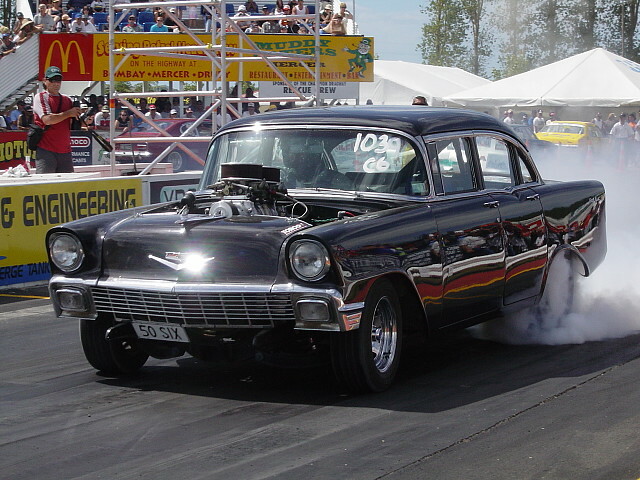 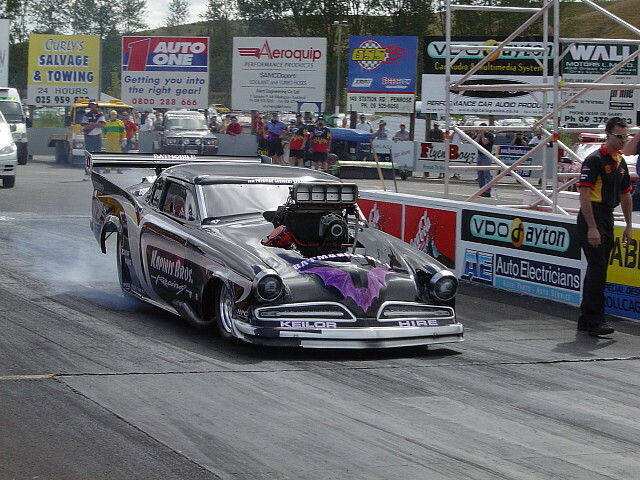 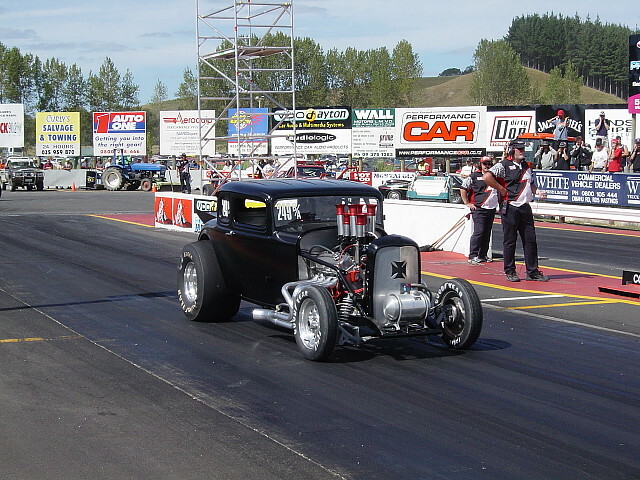 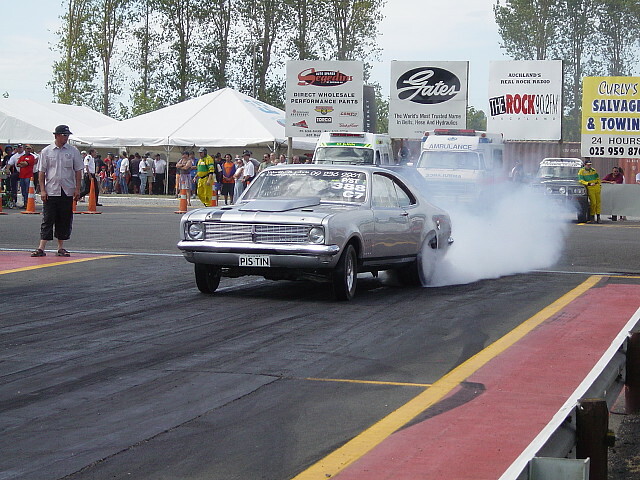 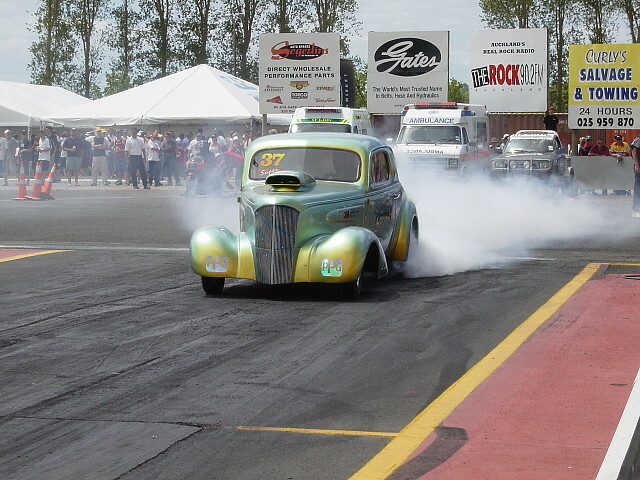 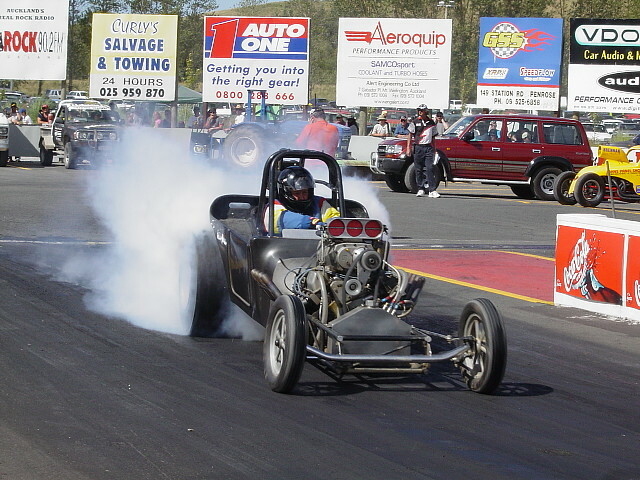 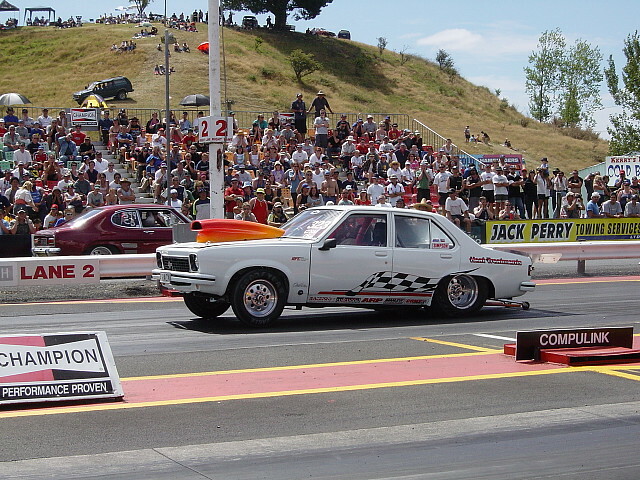 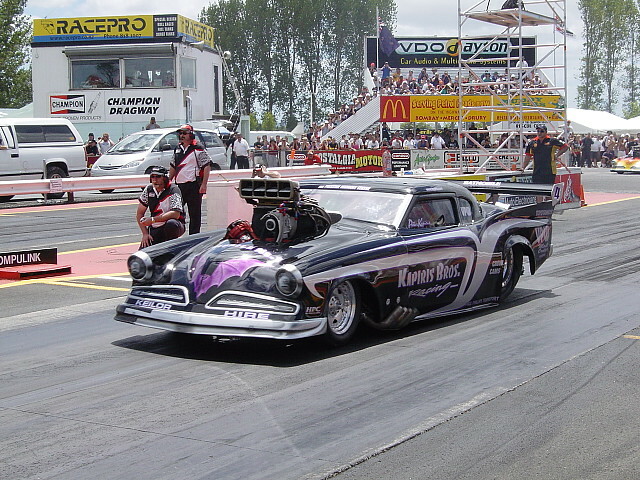 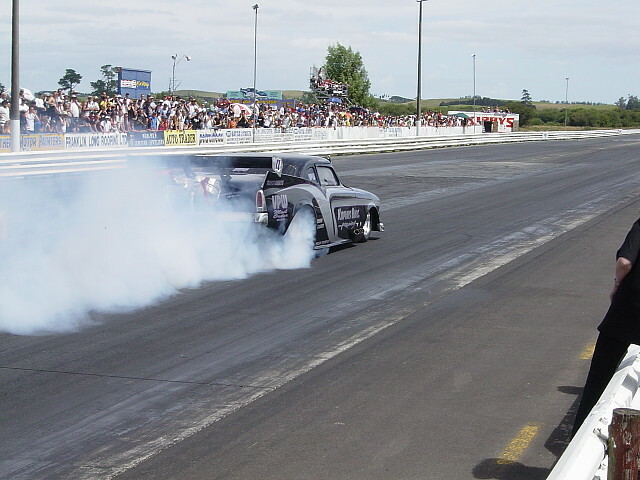 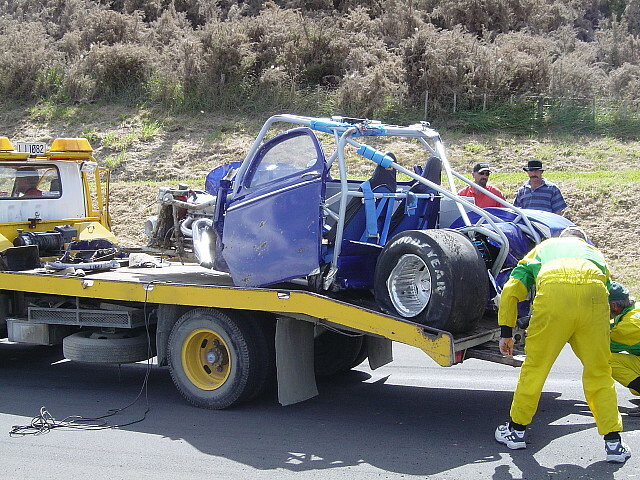 In other doorslammer action, Brett Stevens damaged a motor in his Studebaker on his only pass which will require an engine change before the next leg of the tour this Sunday, 9th Feb at Masterton. 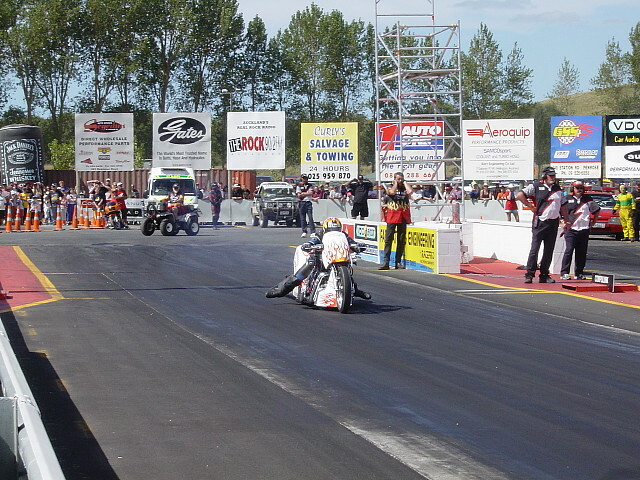 Troy Mclean won the battle of the nitro Harley bikes over Brett Stevens with a 7.85 at 133.82mph to Brett's slowing 12.76 at 81.41mph. 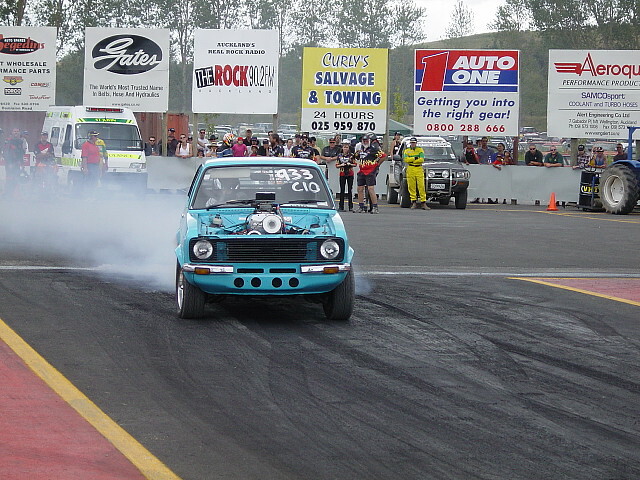 Unfortunately Mark Semar's immaculate looking 41 Willy's Coupe was extensively damaged after hitting the return road embankment in the braking area after having run a great 9.568 at 132.46 mph. 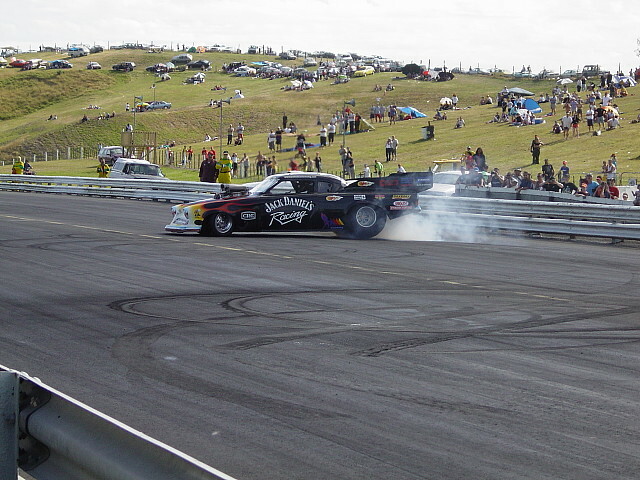 Look at the photo and video near the bottom of the page to see what happened.